The season finale of the latest Project Runway spin-off Threads airs Thursday, December 18 at 10 pm. The show features teenage designers. This week: Zoe; Christopher; Mady. Each episode features a challenge and a “surprise door twist” which involves creating a second design. The second designs adds pressure these teens don’t need. There’s already not enough time for one design. During the opening “show us your style” challenge, the winner receives some sort of advantage in the main challenge. It’s varied each episode as if they don’t know what works and what doesn’t as if they’re making things up as the show goes on and maybe they are. Some advantages: stopping your competitors; stealing your competitor’s assistant; a half-hour jump-start. this week the winner receives a consultation with designer Christian Siriano, one of the show’s judges. Host Vanessa Simmons still seems uncomfortable. Has this show been renewed yet? It must be hanging by a thread. 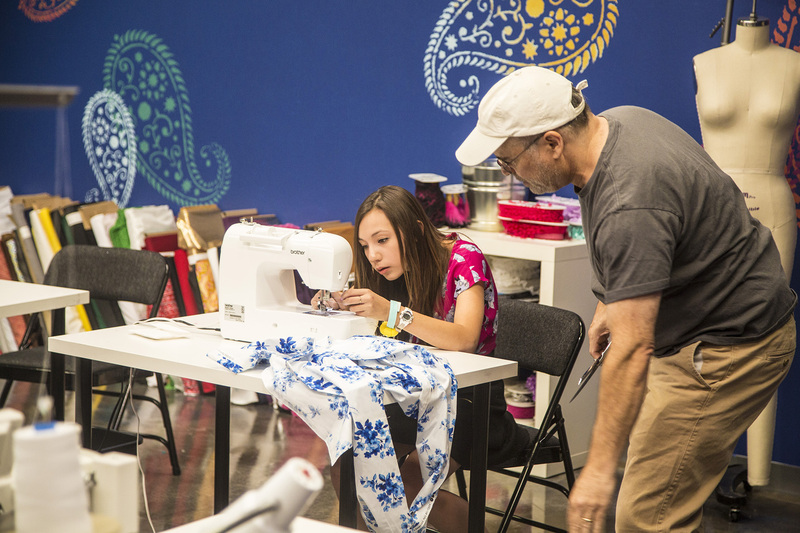 A fashion design competition for teens and tweens. Good idea. Airing it at 10:30pm on a Thursday night. Bad idea. Most people do DVR these days but shows like Scandal and How to Get Away with Murder and even Project Runway get a lot of mileage out of tweeting and social media. I’m not sure if tweeting is big among teens and tweens but I’m sure Facebook is and why have them all watch the show later and then discuss later. Not many teens and tweens can stay up until 10:30 to watch television when they have to get up for school the next day. 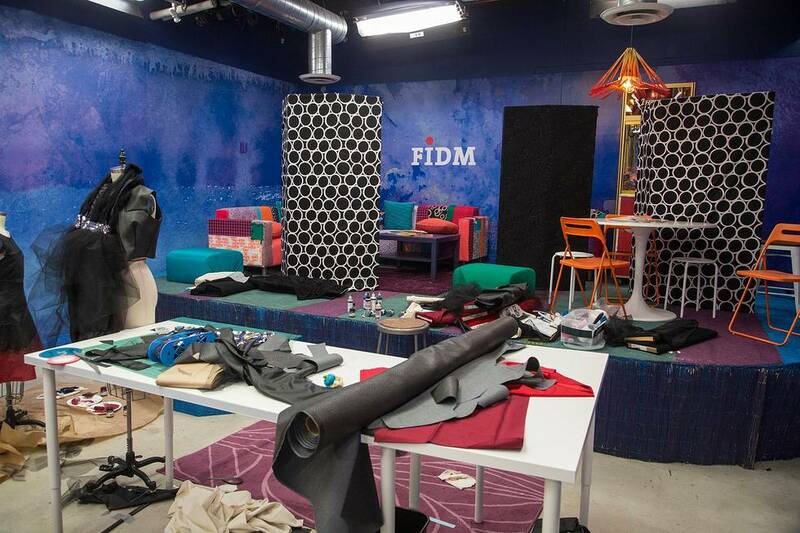 Each week, three fashion protegees/designers compete for a $250,000 prize package. Each child has an adult assistant. 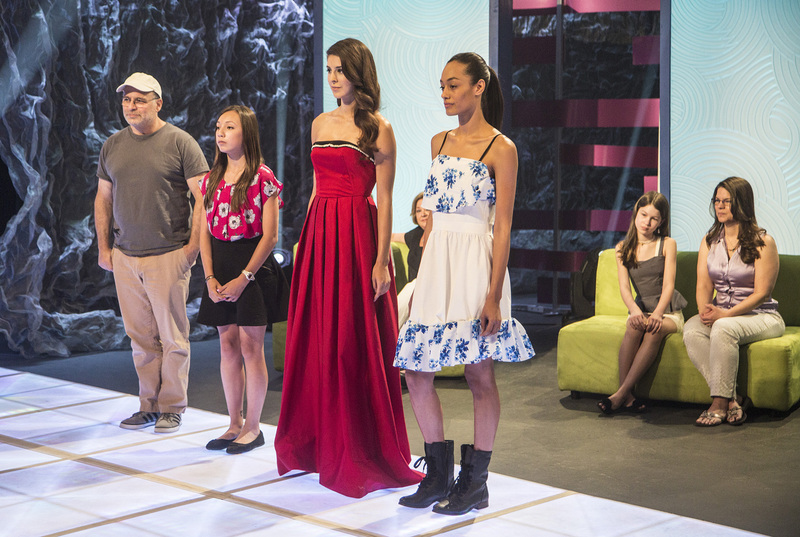 In the first episode, the designers had to create a red carpet look that shows off their style. Then they’re given a “surprise door twist” and have to create a second street style design. It’s a lot for these youngsters. The designers are Bradford, 13, from Birmingham, Ala; Cambria, 12, from Calif.; and Kenzie, 12, from Portland, Ore. Kenzie says she travels to “exotic” places two times a year and loves Europeans cities like Paris and London. A month before coming to the completion, savvy Cambria taught her dad to sew so he could be her helper. Bradford’s mom doesn’t sew. The first episode’s a bit rough and hopefully everything will smooth out in future episodes. Vanessa Simmons– daughter to Reverend Joseph Simmons [Run DMC], niece to mogul Russell Simmons and the founder of a fashion and shoe line– hosts. Is she a fashion designer because she likes clothes and her parents bankrolled her start? She has zero fashion school education or college education. She’s listed as a model/actress and worth millions due to her famous father. She’s not great. She’s very stiff. One judge is Christian Siriano, the youngest winner of Project Runway and a successful designer. He’s not as charming as Zac Posen or some other Project Runway designers. In 2014, it’s fast and loose how to become an expert or be labeled an expert at something, so in that vein, another judge is YouTube “style guru” [she has 2.5 million subscribers!] Ingrid Nilsen. If you can become popular on YouTube you’re an expert. Seventeen Fashion Division and Accessories editor Jasmine Snow will be on the judging panel. Seventeen magazine Fashion Director Gina Kelly is another judge when Snow isn’t there. There’ll also be rotating celebrity judges and for the first episode it’s Jaime King. enjoy my posts about Lifetime TV programs? please consider donating so I can keep doing what I’m doing. Every dollar helps. Make a Donation button at right on my site. Premieres on Thursday October 23, 2014 at 10:30pm on Lifetime.